When we were young, our mothers told us not to eat chocolate, because it would cause acne. The same with potato chips and other fried foods. It has been the subject of much debate over the years whether what you eat can hurt your skin’s complexion. I’m not here to solve that mystery. I imagine scientists will be debating it for years. Having been an acne sufferer myself, I can tell you what HELPS with acne – medical grade facial peels for both teenage and adult acne.And we’re not just talking helping acne outbreaks – we’re talking acne scars as well. 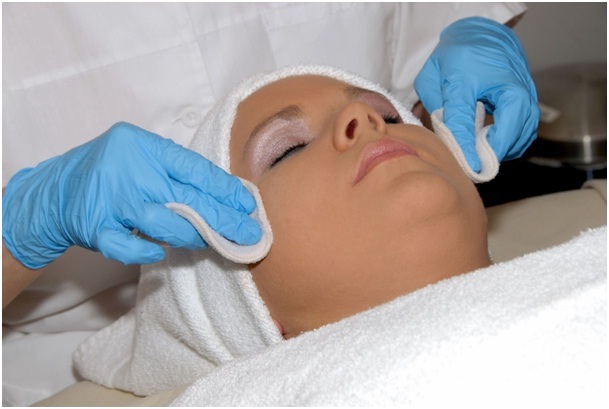 Chemical peels are offered at skin clinics, dermatologists and med spas. If you’ve already tried over-the-counter treatments to help with your acne, you may be an excellent candidate for this medical grade skin treatment. According to acne.org, our skin is covered in hundreds of thousands of pores which can get blocked. The oils that normally drain to the surface get trapped, the end result being acne. Chemical peels use a type of acid (alpha or beta) designed for the skin to exfoliate the top layers of the skin. Chemical peels don’t actually “peel” the skin. Instead, they work to quickly exfoliate the skin, allowing the dead cells to shed more rapidly. The goal is to unclog pores and dislodge stubborn whiteheads and blackheads and also prevent further breakouts. Chemical peels are usually done in a series (one every two weeks) and not only help acne, but fine lines, pesky sun spots and wrinkles as well … an added bonus! As with many procedures, chemical peels are not without risks. Usually the side effects are minor – a reddening or flaking of the skin and a possible slight burning sensation based on the strength of the peel. Tell your clinician or aesthetician immediately if the burning becomes uncomfortable. Additionally, tell her any medications you are taking (e.g. Accutane) which can change the effect of the chemical peel.If you’re using an over-the-counter cleanser such as those containing salicylic acid, it may irritate your skin after a chemical peel. It might be good to use a more gentle cleanser for a few days. After one chemical peel, your skin will feel softer and smoother. However, monthly or quarterly chemical peels are a great staple to have in your acne arsenal. 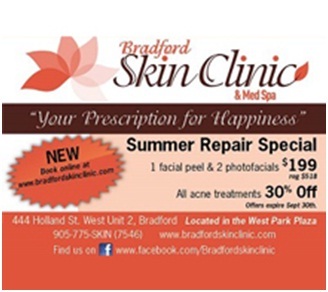 In fact, see our promotional offer where you can get 1 facial peel and two photofacials for only $199 or 30% off all acne treatments through September 30. 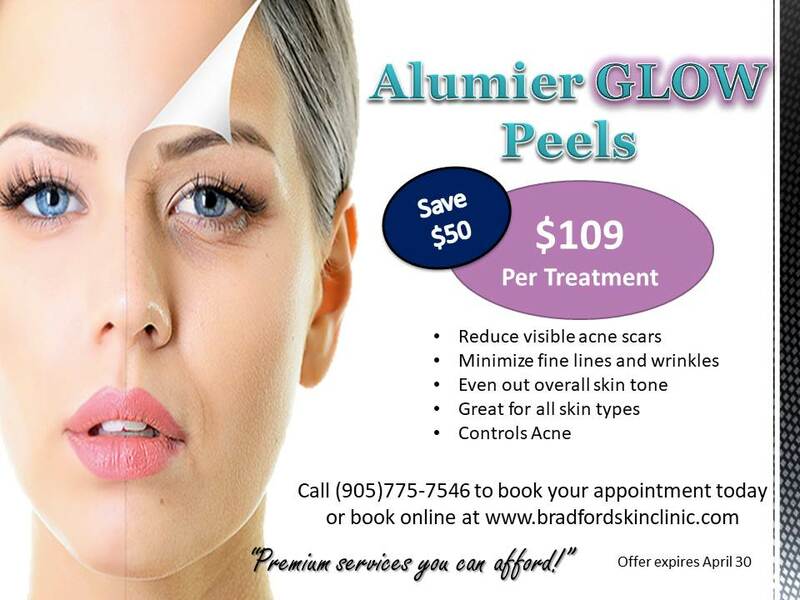 Chemical peels can also be done in conjunction with other acne fighting skin treatments. 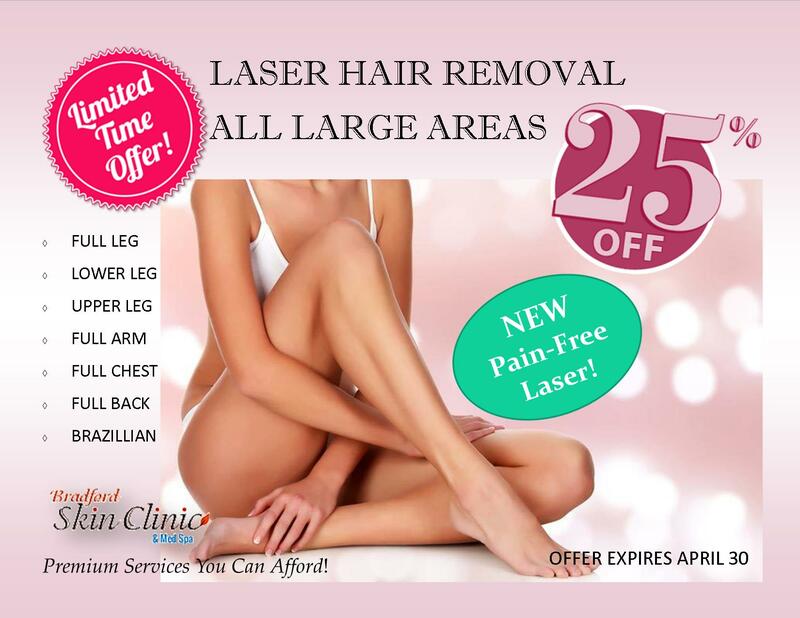 Some options include laser resurfacing, medications, special cleansers and Laser Technology. Laser Acne Clearance uses light, heat and energy technology to reach beyond the epidermis to kill bacteria causing acne. Give the skin treatment long enough to work – there is no quick, miracle treatment for acne. Don’t try too many different products at once – you’ll never know which one worked well. Do not use sunscreen, moisturizers or cosmetics that are likely to clog your pores. Do not over scrub or over cleanse the skin – it will make your acne worse. In this day and age, with all the treatments and skin care products available to us, there is no need to tolerate teen or adult acne. Although it can’t be cured, it can be controlled through a great skin care regime, and chemical peels and/or laser treatments. Oh and about the foods causing acne. Everyone should eat healthy to nourish their skin whether they have acne or not! Mia Liefso is a professional medical skin therapist and the owner of Bradford Skin Clinic & Med Spa in Bradford, Ontario. 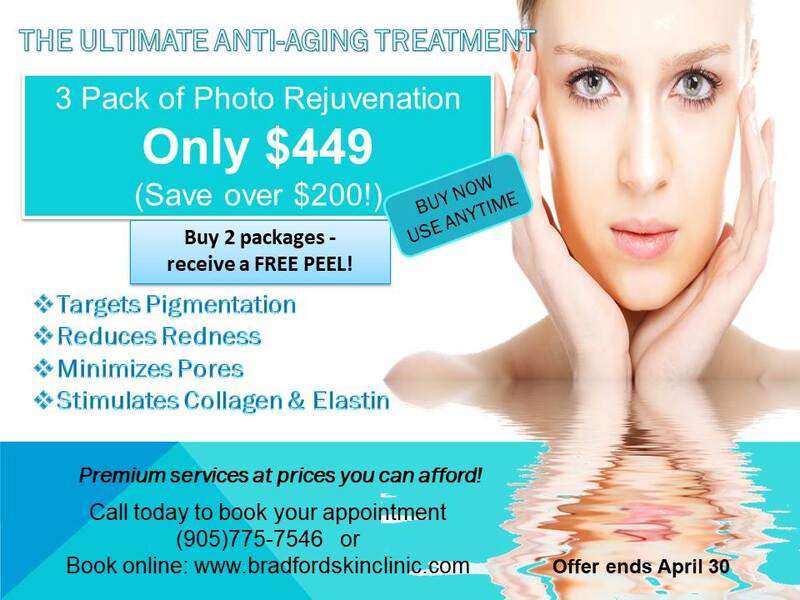 She has certifications in IPL, laser and ultrasound technologies, as well as body contouring and medical facial peels. Her professional interests include difficult skin conditions—psoriasis, eczema, and acne—premature aging, skin care for the elderly, endocrinology, and helping people love the skin they’re in. Her diverse personal interests include history, animals, roller derby, travelling and gourmet cooking.